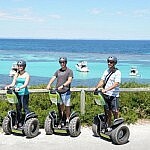 Introducing the first and only guided Segway Tours on Rottnest Island, Western Australia. You’re invited to cruise around some of the most beautiful landscapes in Western Australia on one of the most incredible, modern machines in the world. 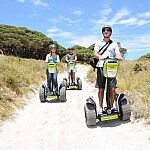 Segway Tours WA’s knowledgeable guides will thrill you with fascinating stories about our rich history, dynamic boom times and grand plans for the future as you glide effortlessly on your own Segway. 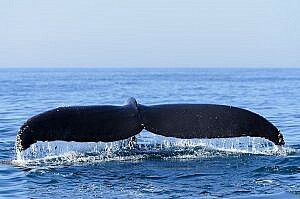 Package includes: Day Return ferry transfers, admission fee to an A-class reserve, one day bike hire, lunch at Subway and the 1 Hour Settlement Segway Tour. 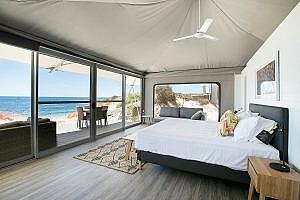 This adventure takes you off-road to some of Rottnest’s most amazing places. We’ll embark on an amazing tour, delving into the military heritage of Rottnest and its pivotal role in the defence of Fremantle Harbour and Australia. Package includes: Day Return ferry transfers, admission fee to an A-class reserve, one day bike hire, lunch at Subway and the 1.5 Hour Settlement Fortress Adventure Segway Tour. Note: Hire bikes are collected from Hillarys prior to departure.